Bollywood has been entertaining us for ages now. The songs, the dance and the picturesque locations have ensured that we get our regular dose of Entertainment every now and then. However, there are certain films which leave us in splits each time we watch them. Chitramala brings to you a list of 10 Best Comedy Movies of Bollywood. Read on..
Priyadarshan’s ‘Hera Pheri’ had the deadly combo of Akshay Kumar, Paresh Rawal and Suneil Shetty in the lead. During its release in the country, the film grossed a whopping Rs. 17,25,00,000. Paresh Rawal as Baburao Ganpatrao Apte stole the show! Need we say, we still love the film! And the ones who don’t, “Khopdi tod saale ka” ! This cult classic featured the now superstars- Salman Khan and Aamir Khan. The film has been a favourite of many. The talks of a sequel to the film are always doing the rounds. During its release in 1994, the film didn’t fare well at the box office. But over the years its funny one-liners, entertaining drama and melodious songs have turned it into an all-time favourite comedy. The Rohit Shetty flick broke several records in India and abroad on its release and became the fastest film to collect Rs 100 crore at the box office. The film, starring Shah Rukh Khan and Deepika Padukone was widely appreciated, with its music, especially “Lungi Dance” by Yo Yo Honey Singh, becoming a rage. All the Bollywood fans, don’t miss the chance! 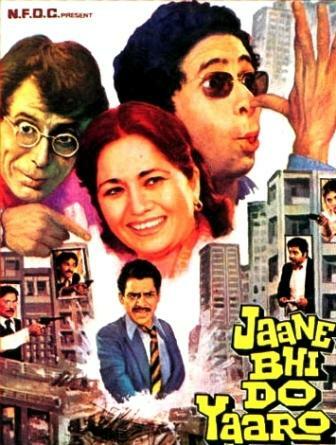 Kundan Shah’s multi-starrer ‘Jaane Bhi Do Yaaro’ with Nasseruddin Shah, Ravi Baswani, Om Puri, Pankaj Kapur, Satish Shah Bhakti Barve and Satish Kaushik is still looked up for the way the scenes were shot. Jaane Bhi Do Yaaron, a black comedy, is also remembered for its famous Mahabharata scene. The biggest plus of the film though was it’s clean comedy which made it a hit among all the sections and age groups of the society. 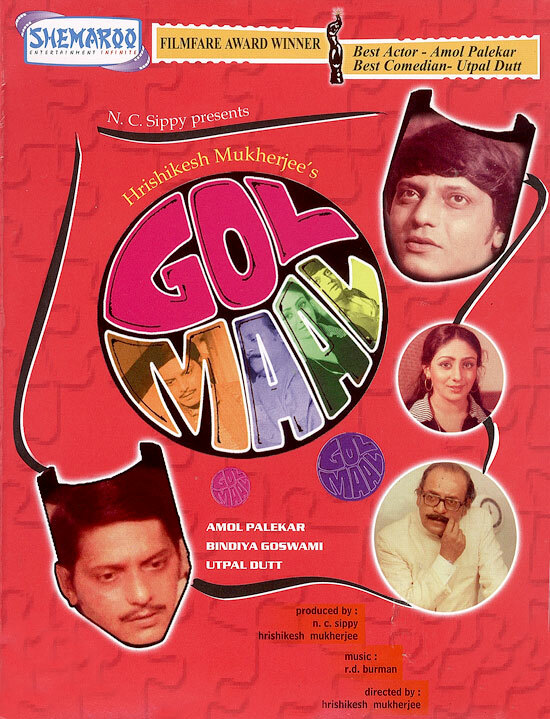 Considered to be one of the finest comedy films of all times, Hrishikesh Mukherjee’s ‘Gol Maal’ is perhaps on top of the list of those born in the 70s. The movie had some of the finest performances by Utpal Dutt and Amol Palekar. The movie was so good that it’s remake “Bol Bachchan” also became a huge hit, grossing over 100 crores at the box-office. 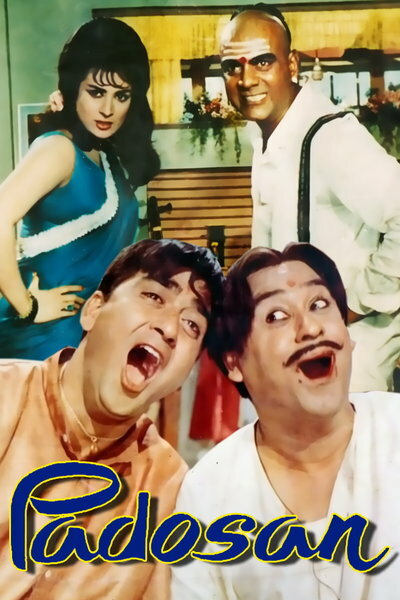 Padosan was a hilarious love story between two neighbours, played by Sunil Dutt and Saira Banu. Legendary singer Kishore Kumar as Sunil Dutt’s singing teacher and friend was the icing on the cake. The music of the film was a rage too. An added plus,we say! The film that told the tale of three engineering students broke all opening box office records in India and was the highest-grossing film in its opening weekend. The film needs no introduction and is one of the all time favourites of the majority of population of our country. Mr. Hirani, take a bow! Starring Aamir Khan, Sharman Joshi and R. Madhavan, the movie broke all industry records that existed until its release. Stupendous hit, indeed! 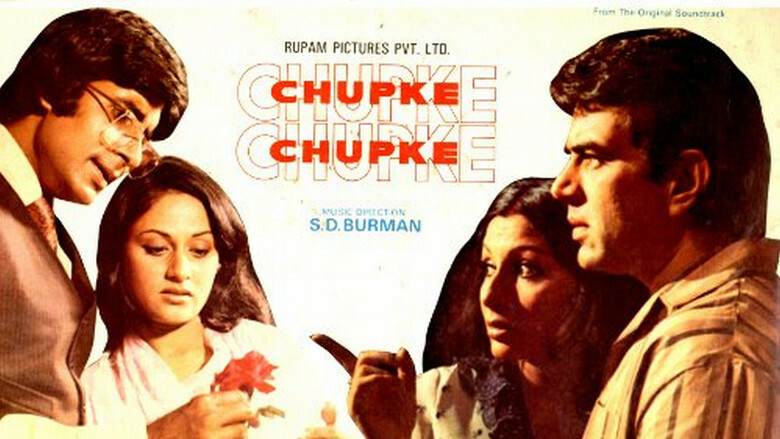 This Hrishikesh Mukherjee ‘Chupke Chupke’ featured Dharmendra, Sharmila Tagore, Amitabh Bachchan, Jaya Bachchan and Om Prakash. The film has stood the test of time and is still a favourite among the audiences! What timing. What one-liners. Super! Anees Bazmee’s ‘Welcome’ starring Akshay Kumar, Nana Patekar, Anil Kapoor, Katrina Kaif, Mallika Sherawat and Paresh Rawal is one of the most loved comedy films. It certainly is a favourite given the superb cast and extermely witty gags in the film. This film was also one of the last films that the Legend Late Feroz Khan was a part of. How we adore his RDX character. Feroz Saab, we miss you! 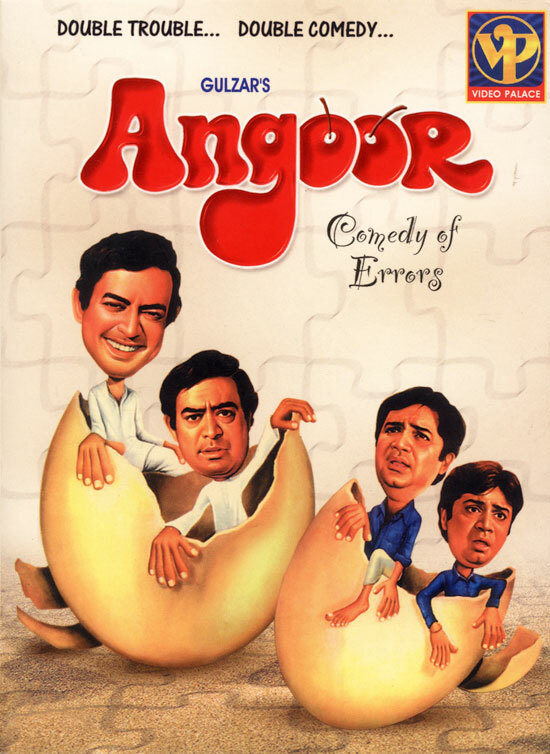 ‘Angoor’ revolved around the hilarious tale of two pairs of identical twins played by Sanjeev Kumar, who are separated at birth and reunited later in life. Not only the story of the film, but even the characterisation and dialogues were a hit with the audiences. One of the biggest hits of Sanjeev Kumar, the film was a favourite, is a favourite and shall always remain one of the best comedy movies of Bollywood. Best Comedy Movies of Bollywood..
Keep following Chitramala for your daily dose of Entertainment!